A feature documentary currently in development about the incredible true story of three female sumo wrestlers fighting to realise their full potential in Japan's oldest sport. Matt co-founded WoLF (Walks Of Life Films) in 2012 concentrating on documentaries and commercial projects. In the past five years he’s directed and shot a variety of docs, whether it be Egypt during the revolution and Arab Spring or a favela in Brazil during the World Cup. His work has featured on Ch4, BBC THREE and The Guardian. 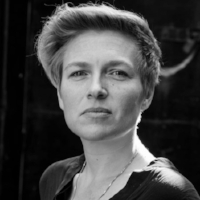 Emily is an award winning documentary filmmaker having produced and directed cutting edge factual television, self-shot observational documentaries, and released 2 feature docs, with another in the wings. Over the last 8 years Andrew has worked producing documentary and commercial projects in over 15 countries throughout the world for a variety of clients including Virgin, Greenpeace, DFID and Foreign Office. His work has been featured on ITV, Sky News, CNBC and widely online clocking up millions of views. Producer and co-director of the first ever feature film generated by social media, Elliot is the innovative producer and EP of feature length documentaries ("Queen Mimi," "140"), docu-series ("Superhuman," "On the Fringe," "The New Space Race," "Wrong," "Challengers," and "Coded") for Facebook Watch, National Geographic, Netflix, UpWorthy and FastCompany. Hinako has been line producing for the last five years. She specialises in documentary film and her clients include ARTE, SRS, Pro7 and the Discovery Channel. She particularly likes to focus on issues surrounding the environment or women's rights and relishes the challenge of acquiring typically tricky access. Having accumulated over 15 years of production experience working for both Japanese and international networks and news outlets, Chikki has a reputation as one of Japan's most prominent fixers. have any other questions or queries get in touch.